Step on in from the cold and into the warmth of this spectacular Aspen Rocks Christmas party night for an evening like no other! 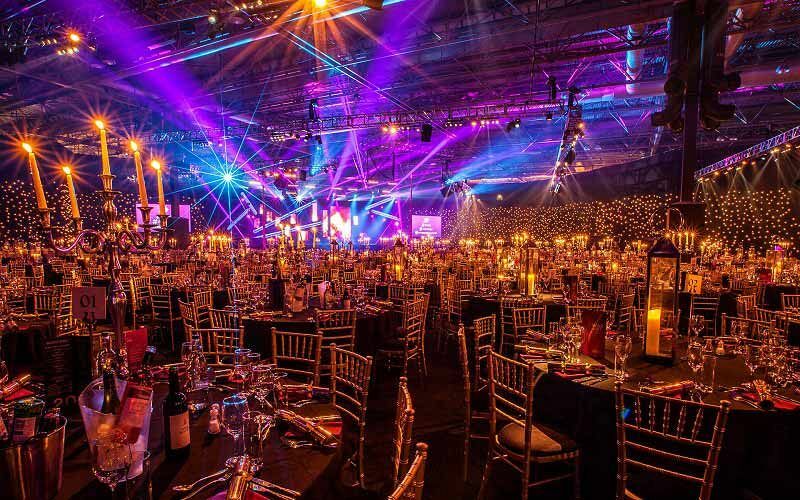 Situated at one of Liverpool’s top venues in the city, you and your guests will experience the ultimate in luxury with a night that’s filled with outstanding performers, incredible lighting and striking theming. You’ll experience a fast-flowing journey through the snow-covered hills and into a beautiful Alpine Village, where for one night only, you’ll be treated to an exhilarating end-of-season Après-Ski party. Get ready to hang up those ski-boots and get ready to indulge with your team for an evening of pure indulgence. Once you make your way inside, you’ll be greeted by forest imps and stilted birds of prey to mark the start of the night. Take in a deep breath and inhale the soothing aroma of the roasted chestnuts and roaring log fires, whilst up-beat and feel good music plays in the background. Thirsty? 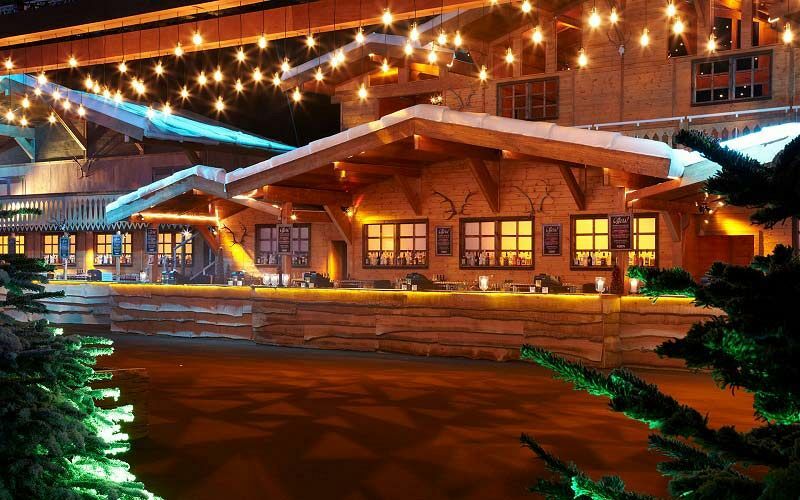 Treat yourself to a delicious ice-cold drink from one of the many bars; the huge, rustic log cabin serves specialties from pale lagers and gluhwein mulled wine, to intriguing flavours of ice cold schnapps! Enjoy a freshly shaken concoction from the cocktail bar, or opt for chilled beer, spirits and wine at the main bar. 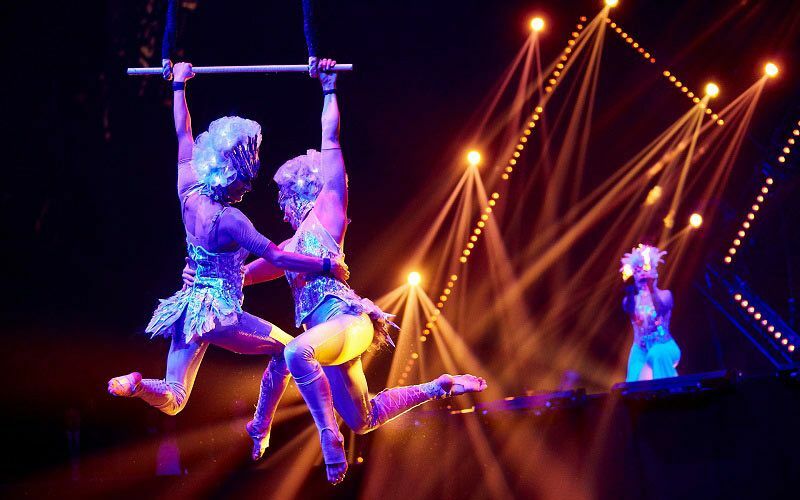 Dazzling performers will keep you entertained throughout the evening – from the start of the night whilst you’re enjoying a selection of hot and cold canapes to a high-energy show that will take your breath away as you indulge in a mouth-watering three-course dinner. After the dining experience, all the fun of the night continues; flock to the dance floor and let your hair down with the DJ and their electric choice of all the latest and greatest party tunes that are guaranteed to get you moving! 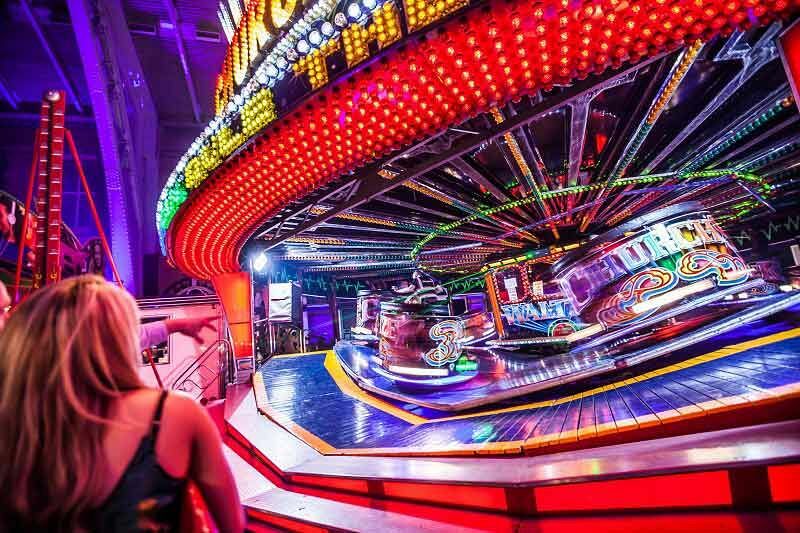 There’s also adrenaline-pumping indoor funfair rides, a fun casino and fairground stalls. If you’d like to relax and enjoy a cup of freshly brewed coffee, then the chill out area is perfect for catching up with friends. Conclude the night by tucking into the tasty survivor’s breakfast and fueling yourselves for the journey home!